•	What are they expecting? •	What are they assuming? •	What do they know so far? •	What don’t they know? Once you analyze the answers to these questions, you may already have a couple of plot twist ideas. You need more than the obvious, presumed and expected. Whatever came to your mind first is probably going to be the same for your readers. Work around it and come up with something better. It’s important that you plot twist makes sense for the entire story. You can’t just drop it like a bomb and hope it will fit. Your readers will be disappointed if you do it this way. Instead, you need to focus on foreshadowing. Foreshadowing is all about making your plot twist believable and satisfying. Plant subtle clues throughout the story, then when you reveal the plot twist, readers look back and realise that the hints were there all along. Your readers think they can outsmart you? They’re wrong. You cannot let your readers see through your storyline and beat you to the plot twist. One of the ways to ensure they have no idea what’s about to happen is to have them believe something completely opposite. In other words, you’ll need to make smart choices in giving relevant information in a way which makes your reader believe something completely different than your actual intentions. This will secure their surprise and shock once the real plot twist unveils. A good plot twist requires you to outsmart your readers and give them something they did not see coming. You need to invest time in planning, writing, rewriting and deciding on the best solution. Hopefully, we’ve helped you organize your writing process and come up with a plot twist which leaves nobody indifferent. Make sure to choose the best strategies and get into your readers’ heads. That’s the ultimate recipe for a killer plot twist. 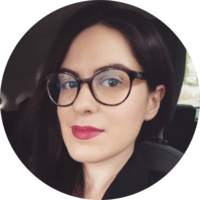 Pauline Ferris speaks Portuguese, English, Spanish and Italian and currently she works as a translator at translation service TheWordPoint . She travelled the world to immerse herself in the new cultures and learn languages. Today she is proud to be a voting member of the American Translators Association and an active participant of the Leadership Council of its Portuguese Language Division. Great Advice to write a killer plot twist! We all know that A plot twist is a literary technique that introduces a radical change in the direction or expected outcome of the plot in a work of fiction. Here you have explain very clearly that how we can write a killer plot twist easily. Actually I am also working in this writing sector, know more to find at EduZaurus and as a professional writer I am totally agree with you and I much value this article. I think this article will be very helpful to many people who are interested write it. The article is so admirable, I always follow all articles of this site but this one is so good. godaddy domain 99 rs service will give you best offer. We have many pretty high profile Escorts and Escorts in Islamabad to accompany and call girls and boys who are looking for flexible men in running our company. Since we are the best and we are confident in satisfying the consumer through perfect companies. So, in practice, try with us once, and you will become familiar with this because we are not the same as other people who claim huge things but never express them promptly. Being an affordable service of Escorts and calling girls in Islamabad, the most significant point of view to think about Islamabad Escorts and call girls is that the service of Islamabad is unbelievable and the best management is for the girls from the college in Islamabad. This is how you will have the potential to improve your energy for future customs and assess your incredible activation in Islamabad, Pakistan.